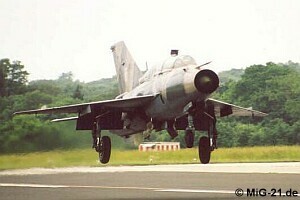 On 22nd May 2001 the author visited Pula Air Base of the Croatian Air Force. 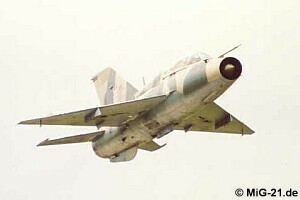 The MiG-21bis, the sole combat aircraft of the Croatian Air Force, flying over. 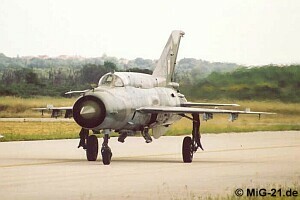 Most of the Croatian MiG-21 don't carry externally visible serials. 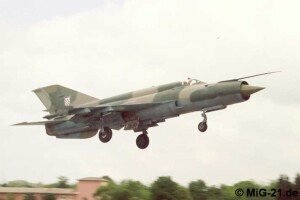 Origin of the more than 20 Croatian MiG-21s is still not known. 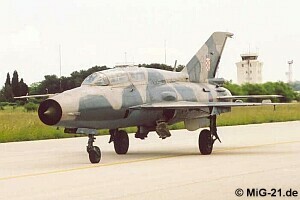 The combat trainer of the Croatian Air Force is the MiG-21UM. 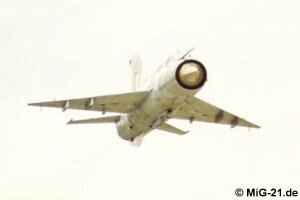 Also the twin-seaters have their serials hidden in the mean wheel bay.